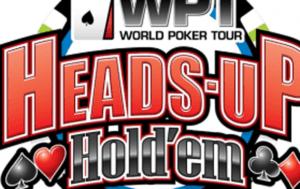 Have you ever heard of World Poker Tour Heads-Up Hold’em? Do you know this is yet another fantastic table game played online? It is apparent that the land-based casino industry has been struggling over the years and appears to be overshadowed by the online casino realm. Intertops casino has on-going online poker tournaments for real money. The online casino industry has undoubtedly surpassed the land-based casinos because of the table action availed. This has been made possible by Galaxy Gaming. World Poker Tour Heads-Up Hold’em is officially licensed, and it is Galaxy Gaming’s first going by what we’ve so far seen. It is a little tricky working with a license in the online casino industry. Galaxy Gaming has over the years demonstrated its ability to build and create amazing casino game that leaves the players impressed. This has been accomplishing by building a foundation that tweaks for every game they release. World Poker Tour Heads-up Hold’em has zero fluff when it comes to UI, and it stands by the basics. It has limitless amounts of green meshed with a sprinkling of white lines to give it a classic looking table which is very easy on the eye. It stands out more because it has various official images from the WTP and the logo is put directly on the table. World Poker Tour Heads-Up Hold’em certainly is the best looking Galaxy Gaming to have been released to date. The very first giveaway when it comes to this particular game is its name. It is a variation of Texas Hold’em, so anyone who has ever played it should be able to play World Poker Tour Heads-Up Hold’em. The design is for every table pits and setups going by the official description. The game has the same betting setup as traditional Texas Holdem. It does, however, has some unique twist that gives the game a modern edge and adds a few turns. The game follows the same line as the rest of other Galaxy Gaming instant game titles. The ante and side bets range between five and five hundred and one and twenty-five respectively. This is fantastic news for all the high rollers as you get to spend as much as you desire. Make This A Tour To Remember. It should be clear by now that just like Texas Hold’em, Play World Poker Tour Heads-Up Hold’em the same way. Any player with previous experience can get into this game without giving it much thought. Have you tried ultimate Texas Holdem poker? To start the game, place your wager and other related bets after which the player gets two cards. The dealer also receives two cards. After the wagers comes the ante. Through every game level, the ante level gets increased, and this opens different windows to fold. Upon completion and card dealing, the best five card hand wins and takes the cash on the table.